The wealth and diversity of economic research activity provides students with a rich source of intellectual stimulation. Cemmap provides a focus for development, understanding and application of methods for modelling individual behaviour, the influences on it and the impact of policy interventions. In May 2017 cemmap was awarded an ESRC Large Research Grant which funds cemmap research from October 2017 through September 2021. This new grant funds part of cemmap's 2007-2017 level of workshop, conference, training and masterclass activities and we seek partners to help continue our work in this area. Directed by Richard Blundell and co-directed by Orazio Attanasio, James Banks, Eric French, Rachel Griffith and Imran Rasul. The Centre is based at the Institute for Fiscal Studies (IFS). The ESRC Centre for Microeconomic Analysis of Public Policy is central to the research carried out and disseminated by IFS. CPP is led by a team of six researchers, each with an outstanding academic record in their own right, supplemented by wide ranging policy experience. They are supported by the larger team of senior researchers at IFS and by an Advisory Committee, which provides intellectual oversight. The centre’s research fellows are faculty in the Department of Economics working on cutting-edge research in finance or at the intersection between finance, monetary economics, macroeconomics, economic theory, behavioural economics, and econometrics. The research interests span from market microstructure to behavioural finance, experimental finance, macroeconomics with financial frictions, financial econometrics and big data analytics. The CfF has a laboratory for experimental work (ELFE – Experimental Laboratory for Finance and Economics), founded on the long tradition of the department in experimental studies. Directed by Christian Dustmann and Ian Preston. CReAM is an independent and interdisciplinary research centre located in the Department of Economics at University College London. CReAM's research focuses on the causes, patterns and consequences of international population mobility and movements affecting UK, Europe and associated global processes. Dr Parama Chaudhury, Senior Teaching Fellow in Economics, CTaLE Director and Co-founder. Dr Cloda Jenkins, Senior Teaching Fellow in Economics and Co-founder. Dr Frank Witte, Departmental Tutor and Co-founder. 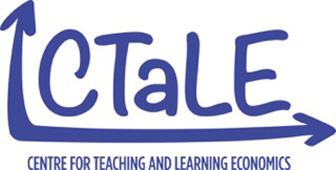 CTaLE, University College London’s Centre for teaching and learning in economics, is dedicated to researching, implementing and evaluating active teaching and learning strategies in economics which help our students to become well-trained economists for the challenges of the 21st century. Editorial board includes Orazio Attanasio and Richard Blundell. Microeconomic Insights is a home for accessible summaries of high quality microeconomic research which informs the public about microeconomic issues that are, or should be, in the public’s eye. CORE Board of Trustees includes Wendy Carlin. CORE’s mission is to reform the teaching of economics to address today’s pressing problems – innovation, inequality, environmental sustainability, instability – linking to data and history, and incorporating recent economic research. A global coalition of researchers and teachers is developing free, high-quality, interactive online resources. CORE’s e-book, The Economy, is used in instruction in over 120 universities around the world. See also Economy, Society, and Public Policy and Doing Economics. In this video Professor Sir Richard Blundell discusses research impact and the importance of the relationship between academic research and policy makers. Through the Mirrlees Review and other publications, Professor Sir Richard Blundell transformed understanding of the responsiveness of labour supply to tax and welfare reform. This provided the scientific evidence for tax rate, tax credit and benefit integration proposals and was key to the business case for Universal Credit. Richard Blundell (CPP Director and UCL Economics Professor) reflects on the impact and achievements of the Centre for the Microeconomic Analysis of Public Policy.